Glass scraper in stainless steel holder. In practical plastic box, with 10 blades. 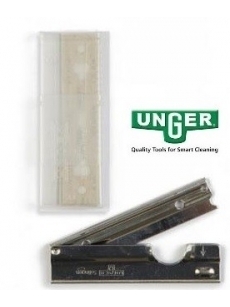 Fitsin Ungersqueegee handles for telescopic poles.